Did you know you can “adobo” anything? In Filipino cuisine, “adobo” just means cooked with vinegar, soy sauce and garlic. If you’ve never adobo’d anything, this recipe covers the basic and works with pretty much any vegetable. 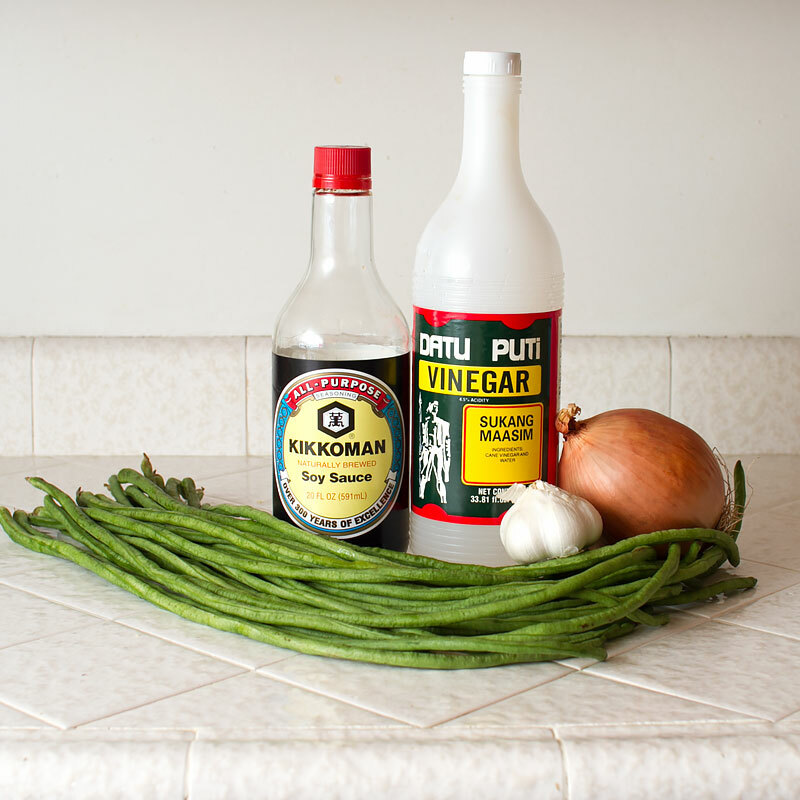 As you eat more adobo’d things, you’ll come up with a ratio of soy sauce to vinegar that suits your tastebuds. I like equal parts of each, but sometimes I like a little more soy, sometimes a little more vinegar. Taste it and adjust until it tastes good to you (ain’t that what cooking is all about?). Chicken adobo is also a great, easy meal; my version uses coconut to add a little richness to the sauce. 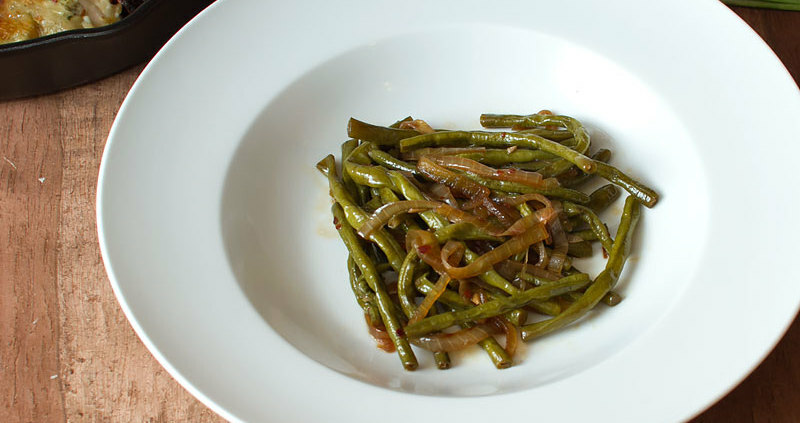 You’ll need long beans (sitaw), soy sauce, cane vinegar, garlic, and onion. Not pictured: chili flakes, salt and pepper. Saute the garlic and chili flakes in about 1 tbsp of vegetable oil for a minute, until fragrant. Add in sliced onions and saute a few more minutes, until the begin to soften. 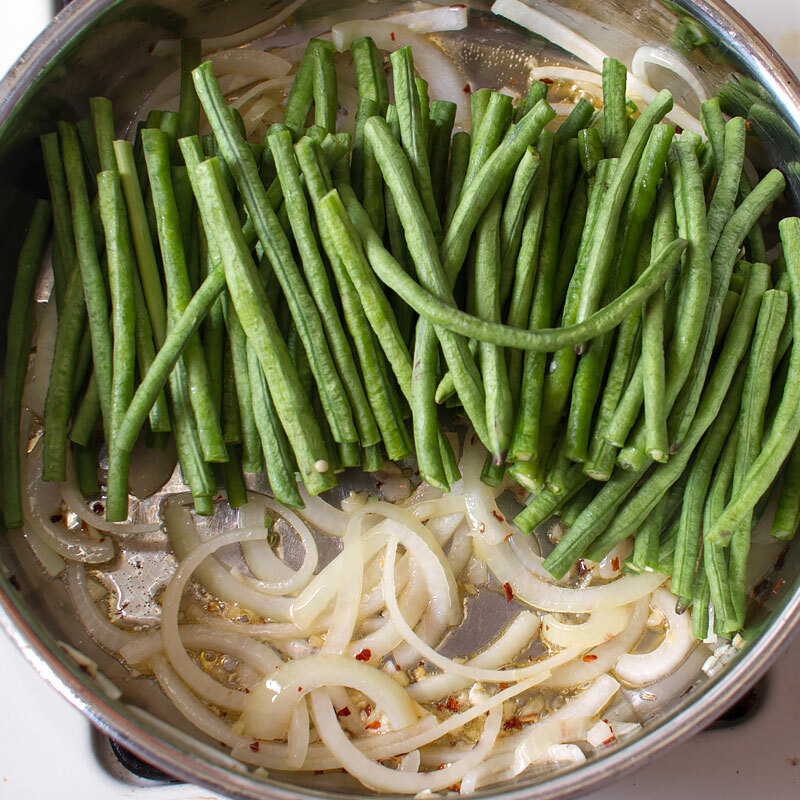 Add in the long beans. …and the soy sauce and one cup of water. 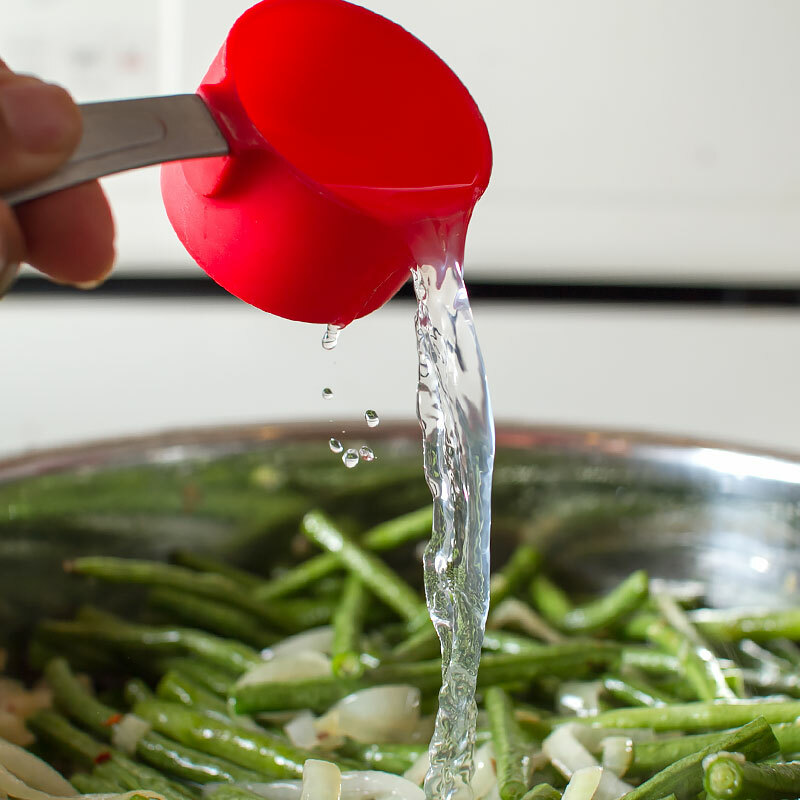 Stir to combine, cover and simmer over medium heat until beans are tender, about 10 minutes. easy peasy lemon squeezy, right? 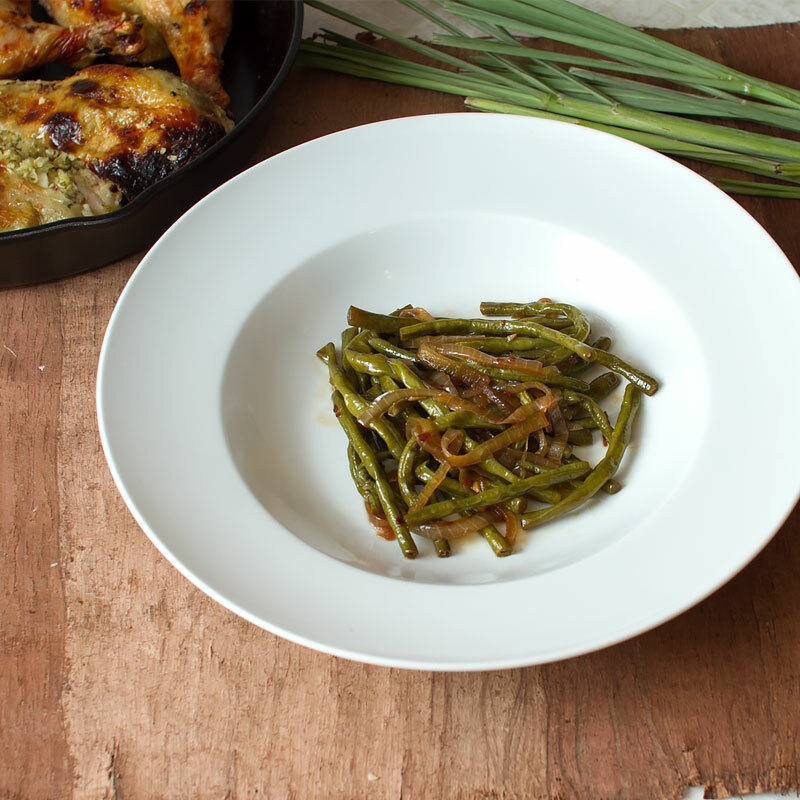 I make this as a side dish and serve with rice and store-bought rotisserie chicken when I’m tight on time (also, when I’m lazy). 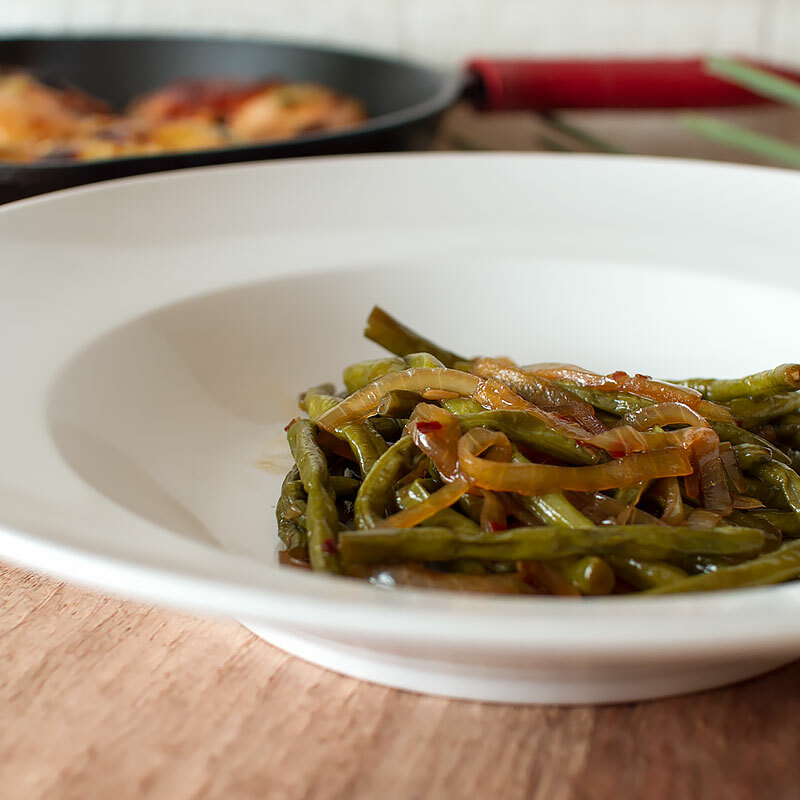 A great little side dish to accompany any meal! Heat a large skillet over medium-high heat and add oil. Sauté garlic and chili flake until fragrant, about a minute. Add in onions and sauté until just softened, a few minutes more. 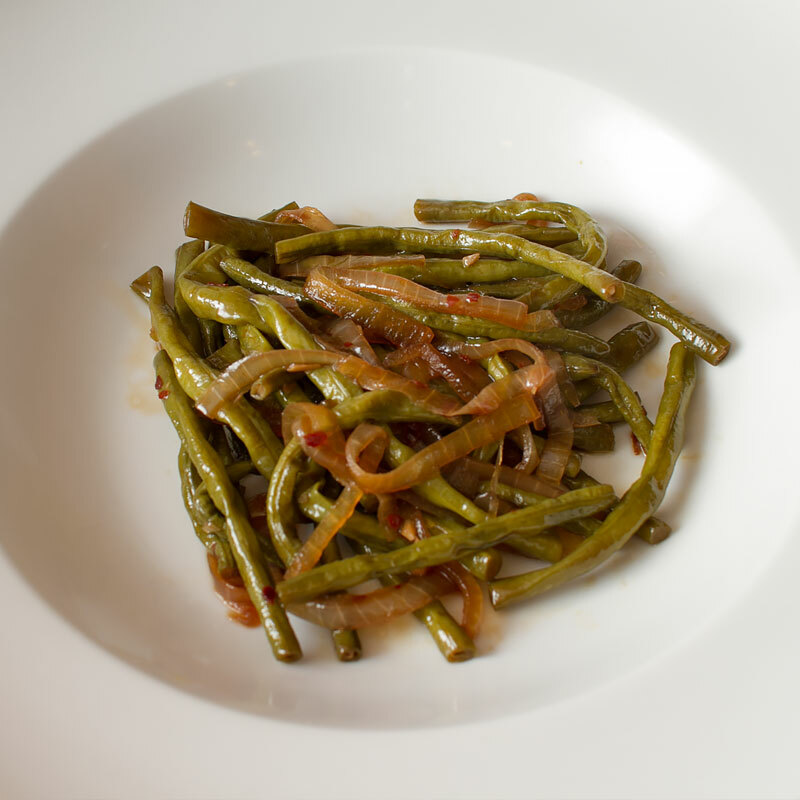 Add in cut long beans and stir to combine. 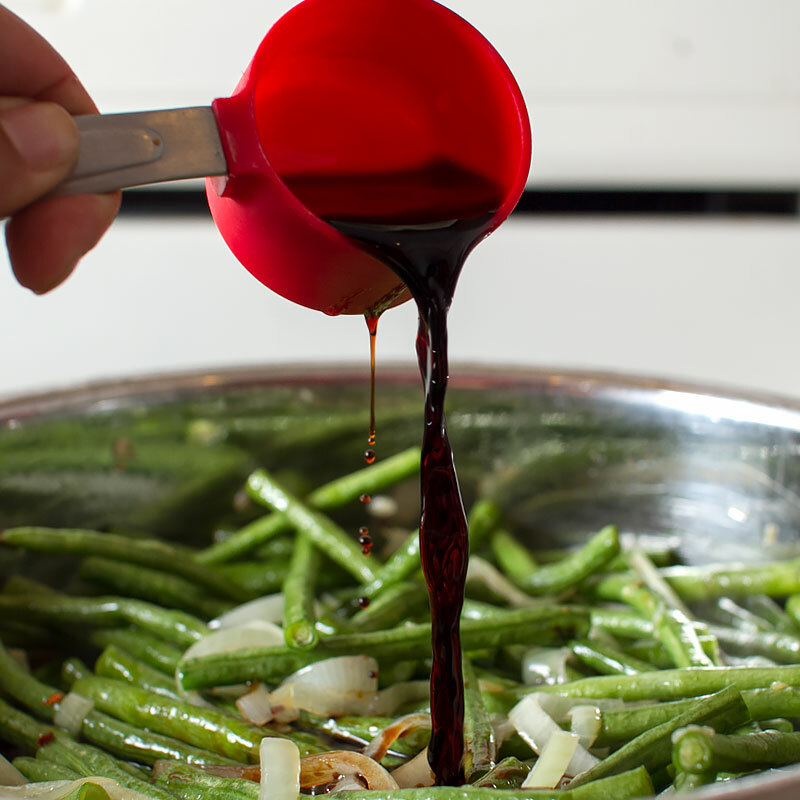 Add in vinegar, soy sauce and water. Cover and let simmer until the beans are tender, about 10-15 minutes more. Add salt, pepper, additional vinegar and soy sauce to taste. Yum, looks good! I love the addition of the onions. I’ve seen adobong mushrooms before and I want to try it out someday. Adding mushrooms also sounds like a good way to stretch a chicken adobo meal to feed more people. 🙂 Love your website! !